I do like a bit of Reiss. It all started Spring/Summer '08. There was a dress and I had to have it . It's still in my wardrobe and one of my very favourite items. I would describe Reiss as a premium high street brand that tastefully positions itself halfway between trend-led and classic. If you only shopped at Reiss you would present a very "together" image, appearing fashion-aware but in a very tasteful and understated way. I have featured a few dresses/skirts in my OOTD's before and this is probably one of the reasons why I was invited to spend to close out the working week with them and Emirates Woman magazine. On a yacht. I said yes - obviously - and booked a half day off work. 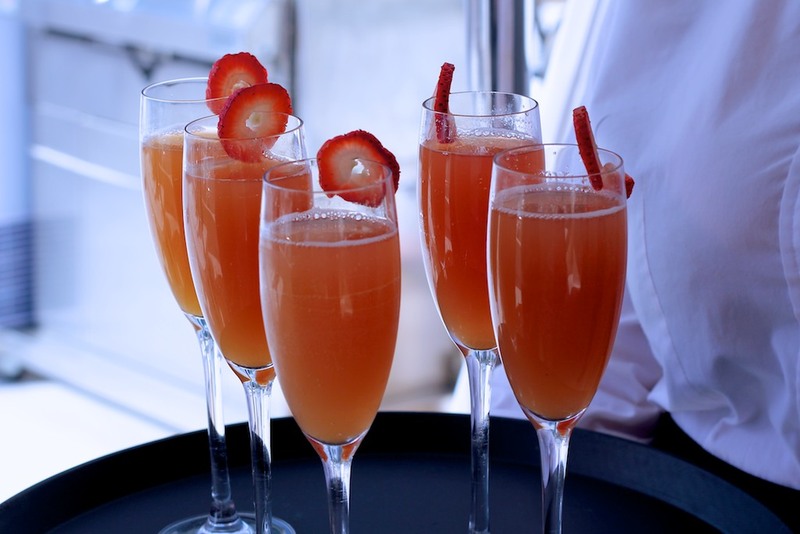 Who wouldn't want to sit on a luxury boat, watching models parade around with the Spring/Summer collection on and enjoy cocktails with other bloggers? Seriously though it was a great way to end a stressful work week - if only all Thursdays could be like that! I did have a bit of a dilemma about what to wear. The dress code was "dress to impress" but I knew it was going to be hot and that I wouldn't be able to wear any shoes on the boat so I decided to go for something light and simple. I paired it with a new accessory....this is my shy admission of a new handbag. I will do a separate post about this because the Pashli is everything I wanted it to be. I know it is very possible/rational to love a handbag and I immediately did that with this one. 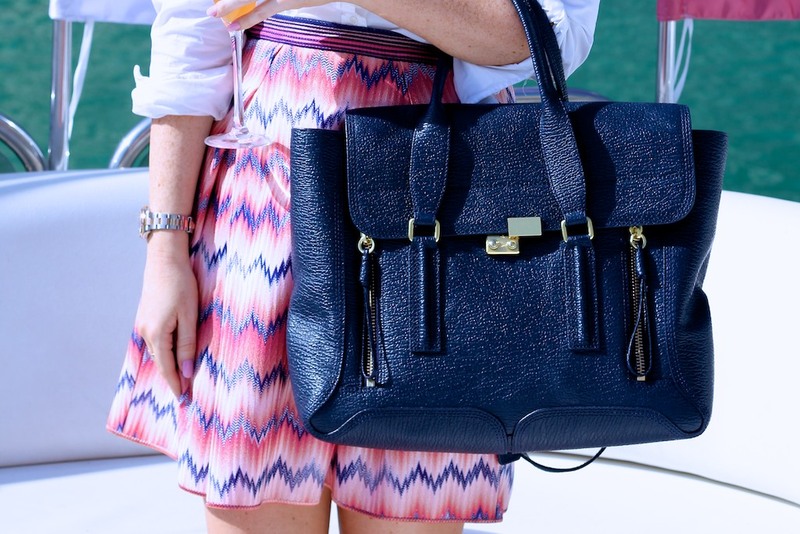 Bag: 3.1 Philip Lim Pashli in Navy - Link! The photo below was taken by the Reiss team and is on their Instagram - Link! At this point I was trying to balance (rough water) and also appear "together" for an outfit post. 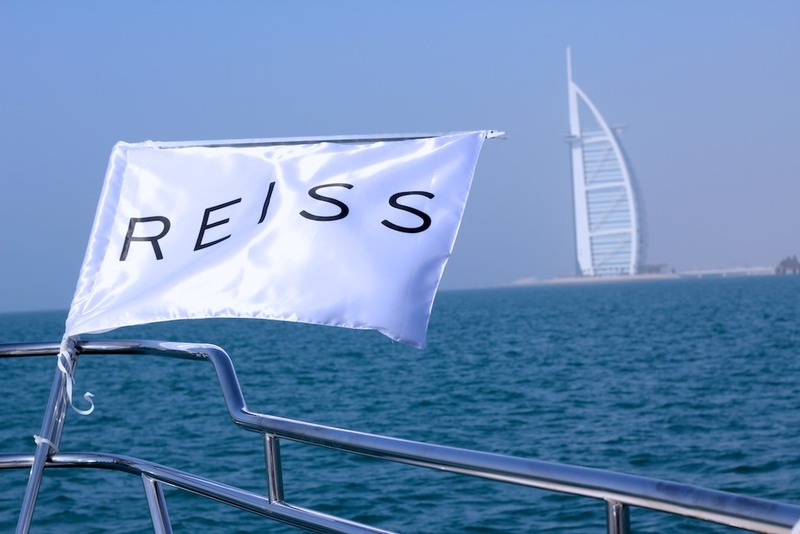 What do you think of Reiss? Have you bought anything from there before? That dress was lovely - ideal summer wedding material! I lobve Reiss so simple and chic. 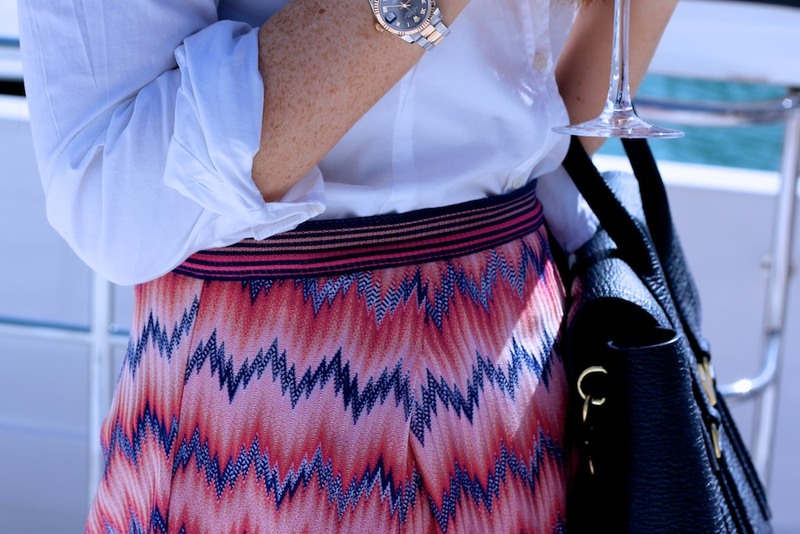 Love the pleats and ruffles. You bag is gorgeous! It looks like you had a great time, you're so lucky to be invited to things like that! I don't own anything from Reiss but I love the stuff in there, I know what you mean about it being simultaneously fashion-forward and classic. I love the 'just-caught' picture of you, looking fantastic as always - your Missoni skirt is a serious winner! I absolutely adore Reiss, just wish my bank balance could always stretch to it. I love Reiss so much! Whenever I think of Reiss I think of Kate Middleton for some reason :) so classic and timeless but gorgeous and feminine. 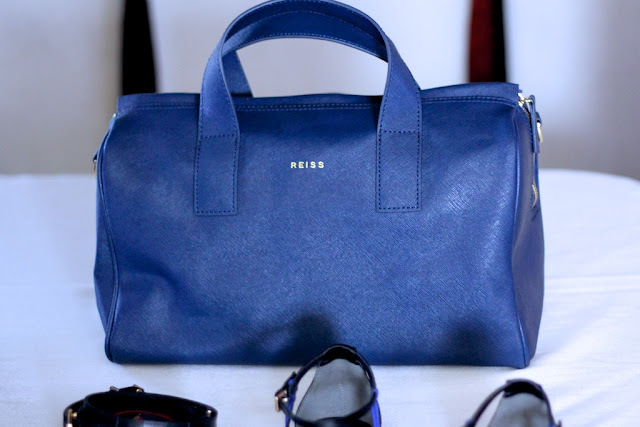 That navy Reiss bag is gorgeous, as is your new Pashli! Congrats on finally getting it :) I cannot wait to see your review on it, as I've been thinking of this bag for a while but wondering how hard it is to get in and out of the bag. The navy is a STUNNING choice :) enjoy your weekend Laura! You're right - she is very Reiss and very together...I love the dresses that she wears from them. It was fab. Thanks for reading Ang! Wow, looks lovely. I have to say I am partial to a bit of Reiss. Looks like you had a great afternoon out. Definatley the best way to end the working week! I love Reiss, don't anything by them but still. Love that white bag. I only own a few pieces that I have got over the years and love each one...wish I could get more! I've never owned anything from Reiss, or heard very much about them. Straight after typing this comment i know i'm going to end up spending too much money online though! Your bag is gorgeous, and your outfit, i would never think of putting that together, but it looks so good! 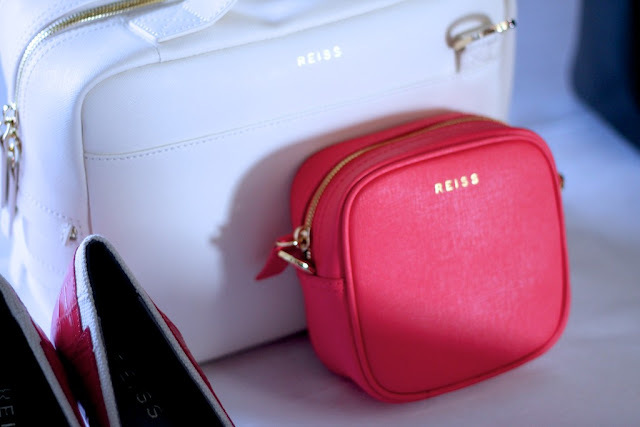 I love Reiss, the bags and purses look lovely! That orange little bag is something I have my eye on :) Thanks Beth! What a seriously fun event. Plus I love your new Pashli, Laura! you've done it again..now i want the pashli bag!! love that color! have you seen the new floral one coming out? kinda like it. Hi Emma - I saw it in the mini version and agree, I quite like it. And I love the pashli....doing a post on it very shortly. It's a great great bag...classic but modern. is the mini really small though?? I haven't seen it in person yet. Reiss is a such a lovely store and my tip is to hit it at sale time. They ALWAYS have great sales with almost all items reduced so even if you spot something during the year you like the chances are it will be there then! Thanks J - it was such a nice way to end the week! Love your outfit, so summery. Thanks Asmaa - cant beat a sunny day! Thanks Valerie - it was such a great event. Looks really great. You're outfit is lovely! Oh my goodness what a wonderful event! Looking on with envy from a snowy NYC :) Is it spring yet? You got a Pashli, too! :) I love mine. As strange as it sounds I think it's the sturdiness I like! I have it in white, can't wait for spring to whip out the florals and brights to go with it. I actually just got back from a break in Dubai and have done the first few posts of my holiday diary, the Pashli, of course, made it in to a few outfits there :) If you have time stop by and say hello! 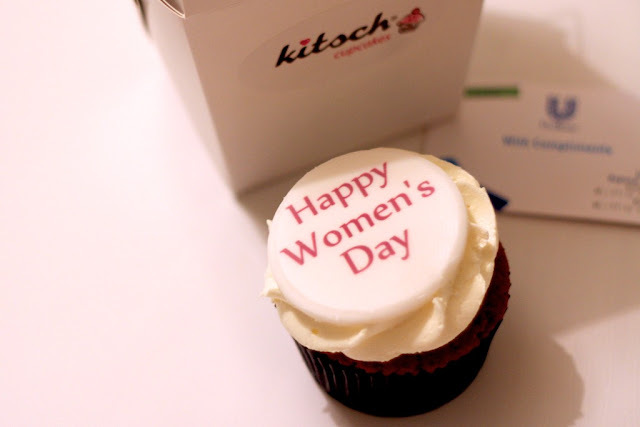 I just saw it on your blog....LOVE! I bet it's amazing in white and the perfect summer bag! I wish I had known about your Dubai trip - hope you had a great time! looks like such a gorgeous fun way to spend the afternoon! 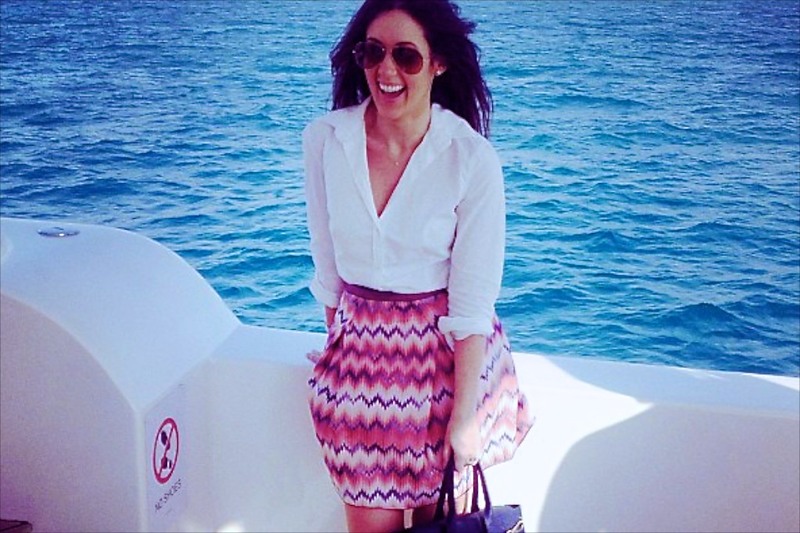 I have still to go on a yacht out here always looks so glam and stunning :-) Loving your skirt -colours are fab! Your hair is looking really nice and healthy! secret? I'm on a current mission to find a decent hairdresser to let loose on my locks...wish me luck! Go to Vesna at Pastels/Ritz Carlton. I wouldn't recommend anyone else! Looks like a lovely time! And I love the new bag, it's definitely on my wishlist! Thanks Sarah - I love the bag! It certainly looks like a nice brand. You take lovely pictures, by the way. What an awesome way to spend ANY afternoon. I am being introduced to Reiss by you, and really coming to adore the style and energy of the brand. I, like, Nissa, will be budgeting to add something classic but trend appeal to my wardrobe from Reiss.